Can you tell us a bit about your book, and the themes/issues it explore? One day, Finn discovers an amazing white feather right on his doorstep. It’s obviously from Hamish, his brother who is now an angel. He’s sure of it. Finn excitedly tells his mum, but she just takes a deep breath and gives him a big hug. He also tells his teacher, who gives him a big smile. Why aren’t they excited, too? The feather is amazing! Fortunately, his friend Lucas gets it. Hamish wants Finn to have fun with the feather! What follows is a grand day of fun and friendship, inspired by the best brother ever! 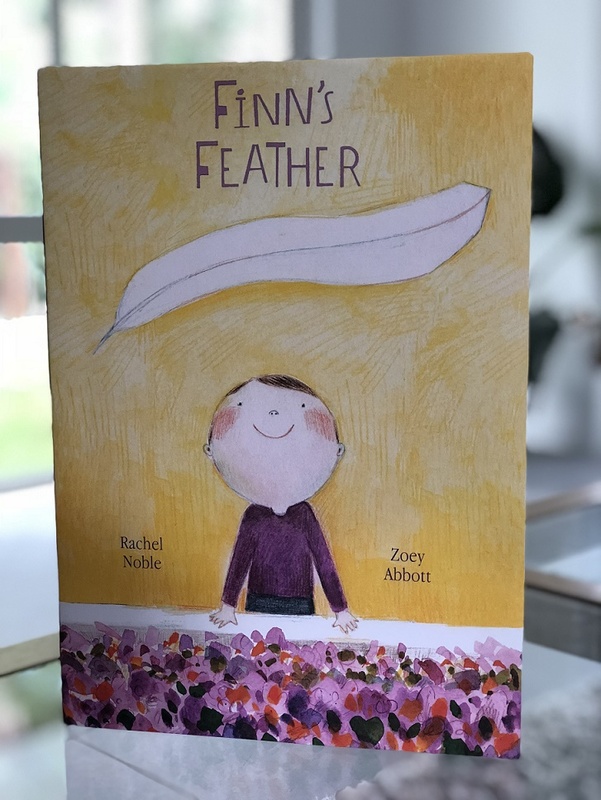 ‘Finn’s Feather’ explores loss and grief from the perspective of a child. Although the theme is a heavy one, the book is not, it will leave you feeling lighter, brighter and full of hope. My inspiration was my late son Hamish who passed away in 2012. I was also inspired by the challenges my other children faced in the wake of our tragedy. I wanted more from the books on offer. I wanted them to dig a little deeper. 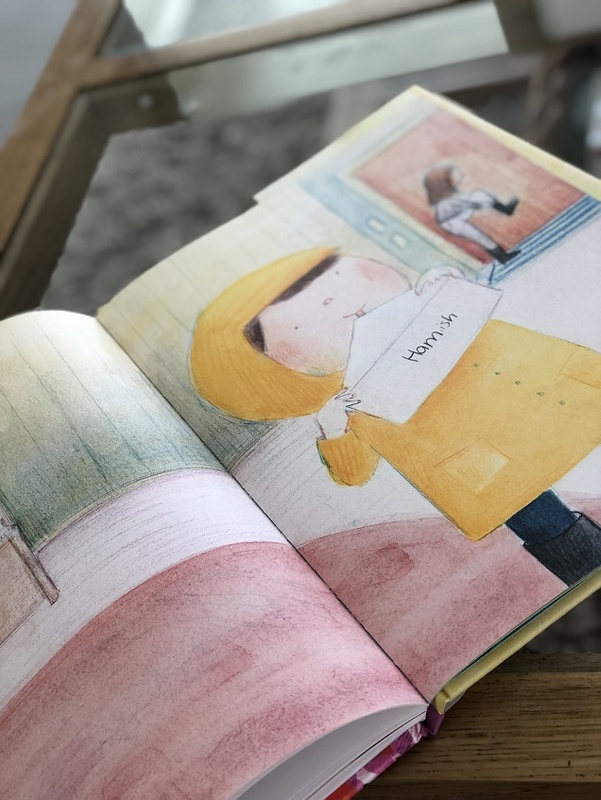 My inspiration never changed but as the book progressed, I started to think more about every child and what they could gain from the book and I quickly realised it was just as valuable to a child who isn’t grieving. For grieving children, I hope they take away comfort and hope and the belief that the ones we love (who are taken from us), never actually leave us. I also hope that other children feel an urge to comfort someone who is going through something challenging. I have been very fortunate with this story. A few publishers saw its potential right from the beginning (when it was a little scrappier!). I knew I wanted the best for this one, which is why I approached Enchanted Lion. I knew they would take it where it needed to go. Be patient. Sometimes you have to wait longer than you’d like to get the outcome you’re looking for. ‘Finn’s Feather’ was worth the wait. I’m driven by big emotions and feelings. I have written a few humourous books, but I’m definitely pulled to write stories that help children navigate big emotions and issues. Nothing I can talk about yet! But I am in discussions about future books. Fingers crossed I can talk about them soon! I love Raymie Nightingale from Kate Di Camillo. I love how she simply and effectively reaches the heart of her stories. I was a massive fan of Anne of Green Gables growing up. I loved her sass and her temper! Can you tell us something not a lot of people know about you? To be honest, I’m a bit of an over-sharer, so I’m pretty much an open book. But I struggle sometimes, and I don’t think a lot of people see the struggle. The loss of a child is life-changing. I used to write by candlelight at night, and I loved that but with four children and a busy household, I don’t get to do that anymore! So I’m afraid, I’ve had to forgo rituals and just squeeze it in when I can! What got you into creating books? It’s something I probably never would have attempted if it wasn’t for Hamish. After he passed away, it became a compulsion. I was also encouraged to write by agent, Selwa Anthony. I also feel an urge to write picture books. A lot of them I write for Hamish. Know what you want and be persistent. Also, allow rejection to be a part of the process. Unfortunately, that’s par for the course. Also find friends in the same boat as you. What about a favourite word or quote? She stood in the storm, and when the wind did not blow her way, she adjusted her sails. Elizabeth Edwards.